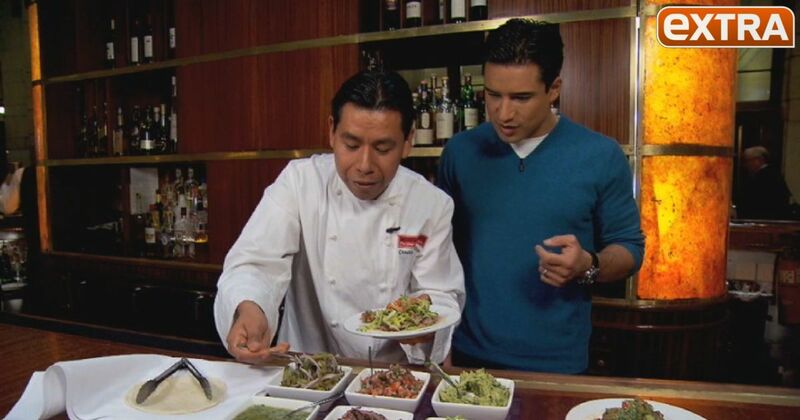 “Extra’s” Mario Lopez stopped by Michael Jordan’s Steak House N.Y.C. while in the Big Apple and tasted their famous steak tacos. The Prime Strip Taco is made with Corn or Flour Tortilla, Lettuce, Tomatillo Sauce, Pico de Gallo, Guacamole and Cactus Salad.